Fenergo rises 25 places in global Chartis Research’s RiskTech100 rankings. Blackhawk Network partners with Apple to offer ApplePay rewards. The Australian reports: OurCrowd goes on start-up funds-drive. SafetyPay and VTEX sign a global agreement for electronic commerce. Expensify selected as preferred expense-management solution by the AICPA and CPA.com. Zopa launches a fresh new look. Professional Planner quotes SuiteBox CEO Ian Dunbar in discussion on technology and millennials. Top Egyptian retail FI, housing and development bank goes live with Temenos core banking solution. Avanzia Bank and TSYS renew card-processing partnership. This post will be updated throughout the day as news and developments emerge. Follow our alumni news headlines on the Finovate Twitter account. 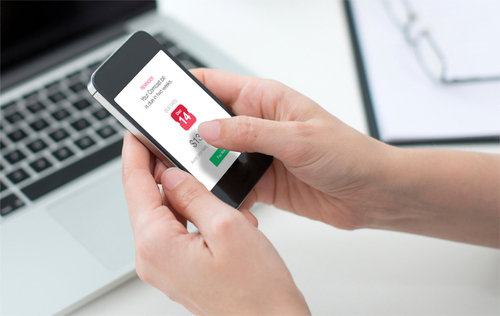 CardFlight releases its mobile POS app, SwipeSimple 2.0. Sky News reports Temasek is investigating a possible purchase of Misys. Column on digital money accounting highlights, Mint, Venmo, and Coinbase. Investopedia compares Motif Investing to investing with traditional exchange-traded funds (ETFs). Forbes highlights Betterment, Wealthfront, FutureAdvisor, blooom, Motif Investing, and Personal Capital in a column on roboadvisors. Wipro wins multi-year, IT outsourcing contract from Allied Irish Banks (AIB). Join Wipro in London for FinovateEurope 2015 next month. The Financial Services Blog features more than 20 Finovate alums in its look at the 50 most innovative FinTech firms. MasterCard PayPass partners with St. Petersburg Metro to bring contactless payments to Russian subway. Blackhawk Network unveils Blackhawk Engagement Solutions to build customized incentive and rewards programs. FinovateEurope 2015 Sneak Peek: Part 6 is now up. American Banker highlights Cloud Lending’s role with banks. PYMNTS interviews TSYS Merchant Solutions’ Tom Boyer about changes in the payments acquiring space. Bolstr Raises $1.7 Million in Seed Funding. The blog herald shares an infographic detailing online security methods: Nymiband, Myris, Eyeverify, BehavioSec, Entersekt. Lifehacker features Betterment, Mint, Personal Capital as tools to manage your investments. Bitcoinist features Bitbond. Check them out at FinovateEurope February 10 & 11. BetaBoston: After a successful 2014, student services company SimpleTuition rebrands as Valore. Mitek Q1 revenue up 21% YOY; reports 3,300 financial institutions now signed & 2,700 live. ACI Worldwide partners with ATM provider LD Systems. Nutmeg hires former Google financial search ad specialist, Scott Eblen, as Chief Product Officer. Azimo customers can now send money to another eight West African countries. The American Bankers Association endorses PFM and BFM platforms from Geezeo. New app from no-fee, no-branch BankMobile is powered by Malauzai Software. Wall Street Journal’s top tools for retirement planning features BillGuard, blooom, HelloWallet, MaxMyInterest, Mint, True Link Financial, and Yodlee. Check out our latest CEO interview: Global Debt Registry CEO Mark Parsells Brings Transparency to Debt Ownership. Top Image Systems and SQN Banking Systems deploy signature verification project at Singapore bank. TechVibes highlights Trulioo founder, Stephen Ufford. Integrity now offers CardFlight mPOS to its merchant customers. Credit Karma now has more than 35 million members, accounting for 16% of US population with an open credit profile at a major bureau. Continuity named one of Connecticut’s 2015 Best Places to Work. Wordline extends partnership with Kalixa. Misys signs deal with fixed income data and cash flow model specialist, Intex. defiSolutions unveils ESSENTIAL LOS automated application processing solution. Benzinga looks at how LikeFolio helps investors spot trends in stocks. Zooz boosts staff to 150. Engineering and Technology Magazine features biometric authenticators EyeVerify, Bionym, and BioCatch. Fox News: Kabbage revolutionizing the small business lending industry. Wipit Named Winner in Ninth Annual Paybefore Awards. Banking Tech features how RBS subsidiary, Ulster Bank, is holding a hackathon with Open Bank Project. MyBankTracker considers: How safe is Mint? The Jerusalem Post profiles Israeli startup, TipRanks. CashStar Market Solution is now powering 150 promotions during this year’s winter holiday season. Enterprising Investor highlights Betterment, LearnVest, Motif Investing, Venmo, and Wealthfront in its column on Millennials and money. Yahoo! Finance features an interview with Rippleshot co-founder and CPO Yueyu Fu. WingCash unveils Brand Cash, a digital currency that replaces merchant-specific gift and loyalty cards. Financial Times profiles Betterment CEO and co-founder, Jon Stein. 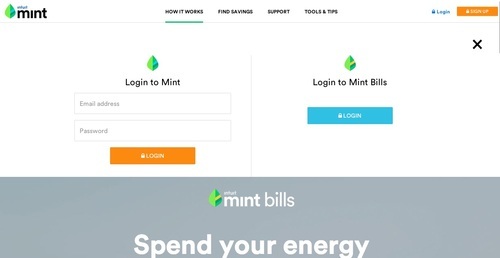 After Manilla’s demise, Mint launches bill pay and bill management platform. Time, Inc partners with Coinbase to accept bitcoin for subscriptions to Fortune, Health, This Old House and Travel + Leisure. Wealth Management looks at the human advisors behind Personal Capital and SigFig. Money Talks News lists alternative lending sites to consider: Prosper, Lending Club, and Kabbage. ID Analytics names Timothy Laughlin as new CFO. Intuit’s Mint launched Mint Bills, a bill pay and management platform today, along with a new logo and fresh identity. This comes months after Manilla shuttered, and after Intuit acquired Check (formerly Pageonce). Similar to what you may expect, the Mint Bills web platform allows users to search for and set up billers based on their zip code. The bill pay capability reminds users about upcoming bills, enables them to pay bills, or schedule a payment for the future. The mobile app is a complete revamp of Check’s former bill pay app. Not only is the design new, but the registration process has been simplified and new bill categories were added. Interestingly, for Mint users, the platform is separate from the legacy Mint PFM we’ve known and loved since 2006. Mint users need to create a new account for Mint Bills. Things are a bit easier for Check users, however, who login with their existing credentials. Mint Bills is available as an iOS and Android app, as well as on the web. Mint demonstrated at the very first Finovate in 2007. Top Image Systems announces closing “six-figure eFLOW5 deal” with leading Asia-Pacific bank. ACCESSbank to deploy turnkey insurance agency courtesy of Insuritas. Klarna payment solution now integrated into ekmPowershop. D3 Banking partners with ProfitStars to offer iPay Consumer Bill Pay. Pymnts interviews Jingit, Spreedly, and TSYS CEOs on what they think will make or break 2015. Pymnts: PayPal Loan Program to Compete with Lending Club. ShopKeep gives free NFC reader to new customers wanting to accept ApplePay. Finovate Debuts: EyeLock’s Myris Device Authenticates Using Iris Identification. Arroweye Solutions to Provide Debit and Prepaid Card Production to DMS Bank & Trust Ltd.
ZenPayroll now lets companies match employees’ charitable donations. Arxan Integrates With IBM Security AppScan and Trusteer Products. 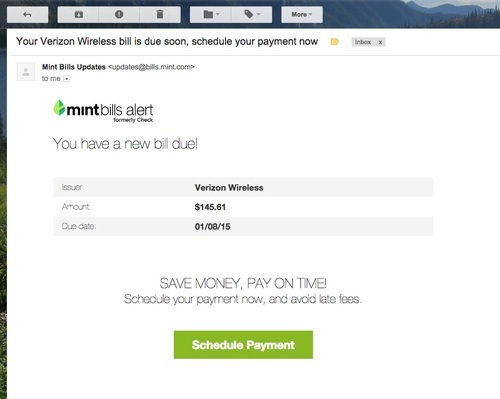 Mint launches bill pay and management platform. Entersekt Receives Honorable Mention in 2014 Gartner Magic Quadrant for User Authentication. Interactions closes strategic deal to acquire AT&T Watson speech recognition and natural language understanding platform. Lighter Capital increases capital base to $17 million & completes 50th loan. Mint launches on iOS 8 with Touch ID. miiCard participates in NSTIC Pilot for State of North Carolina eID Program. Billhighway wins 2014 “Metropolitan Detroit Best & Brightest Company to Work For”. Ping Identity raises $35 million in round led by KKR. MasterCard announces launch of SimplifyCommerce in Ireland. Monitise and BlackBerry launch BBM Money service for Indonesia consumers using Android, iOS, or BlackBerry smartphones. Coinbase unveils its open source, bitcoin API, Toshi.